Every year, Horizon Interactive recognizes, promotes, and awards the best websites, videos, online ads, print media, and mobile applications from around the world. A volunteer panel of industry experts from a variety of design and marketing backgrounds reviews the entries and selects the best across a number of categories. 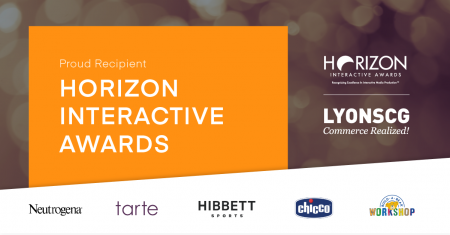 That’s why we are proud to announce that this year, LYONSCG won FIVE 2017 Horizon Interactive Awards in the eCommerce/Shopping category. The LYONSCG team’s work on Chicco’s new eCommerce site took the “Best in Category” award, Hibbett Sports, Neutrogena, and Tarte received “Gold” awards, and Build-A-Bear’s new site was recognized with Silver. No stranger to the Horizon Interactive Awards, 2017 marks the fifth straight year LYONSCG has been recognized for its elite work. Led by Executive Creative Director Mike Davidson, the LYONSCG Experience Design team continues to envision new ways for consumers and buyers to engage and interact with brands. 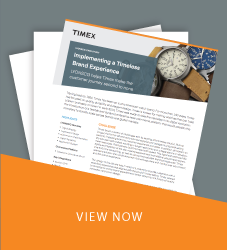 Our collaborative One Team approach and proven processes enable designers, developers, marketers, and more to help brands realize their digital goals and engage customers like never before. We’re excited about the results because it speaks to the strength of our clients, partnerships, and creativity. Are PWAs Right For You?